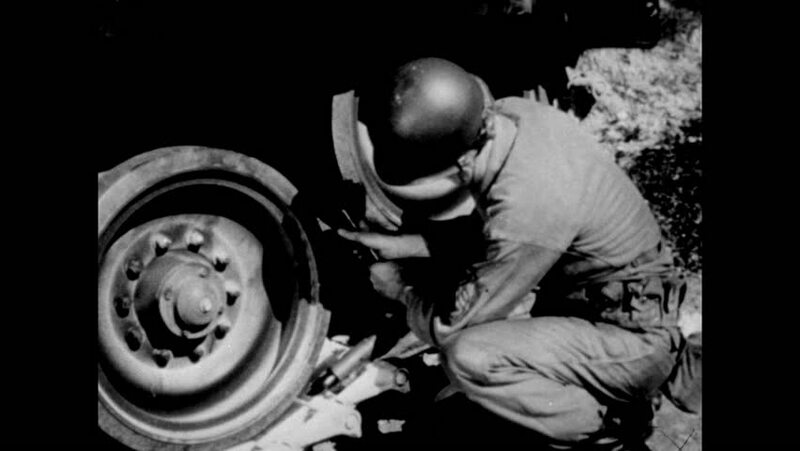 sd00:351950s: Chevrolet servicemen are careful to acquire exact matching replacement parts for the cars they are working on before installing them in 1950.
hd00:271940s: Private Snafu falls down a long chasm into cooking pot in hell. The devil as Adolf Hitler appears with a group of German devils. sd00:40CIRCA 1940s - A modern glass factory in 1940 makes eyewear for fashion. hd00:45CIRCA -1954 - A montage shows that people are different from machines because people can be motivated by many different factors.